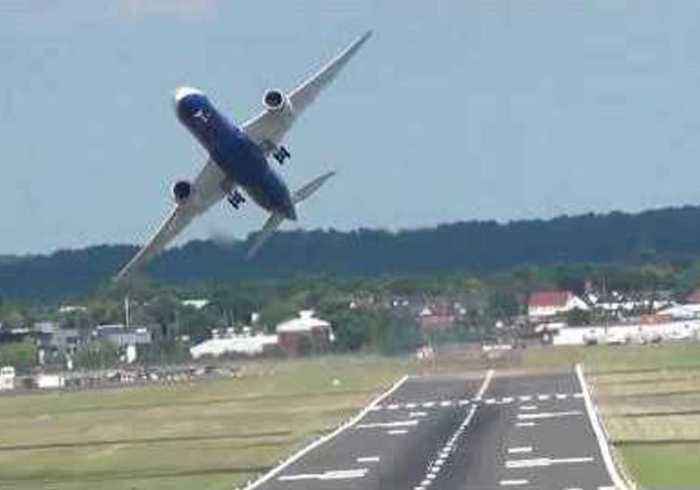 A Boeing 787 was caught on camera landing and taking off in a matter of seconds at Farnborough Airport in Hampshire, England. Airplane enthusiast Tom Pipe caught the footage while at the Farnborough Airshow. “The pilot brought the Dreamliner into land and just as the front wheels touched down, he lifted back off again,” Pipe explained when speaking to Storyful about the video.